This award winning home was ready for a good cleaning. Treatment before washing the delicate stone and slate of this walkway reduces the amount of PSI needed to pressure wash the algae and dirt away. The environmentally friendly solution kills the algae and moss releasing their hold on the slate. 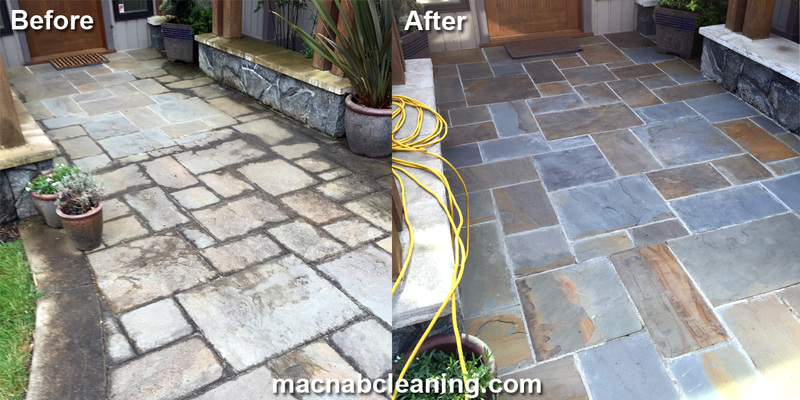 After a treatment, the lower pressure wash rinsed off the dirt with out any damage to the slate for vibrant results!